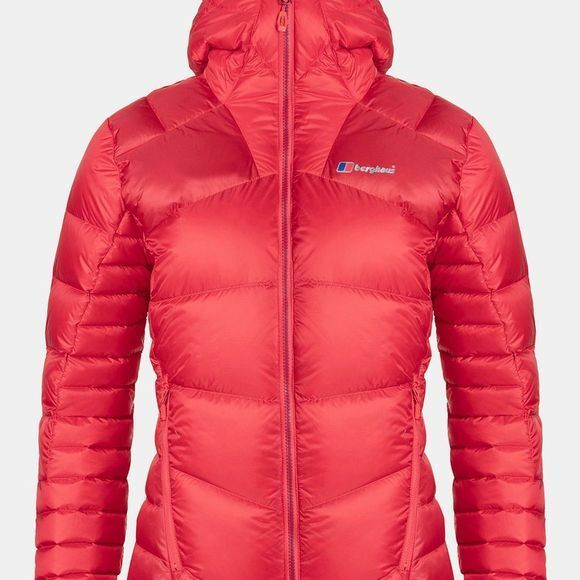 Take the Womens Ramche Mtn Reflect Jacket from Berghaus with confidence if you’re venturing into the harshest conditions. Loaded with heat boosting Hydrodown, powered by Nikwax to a 700 fill power, it’s designed in an offset baffle construction throughout the core of the body to prevent cold spots. 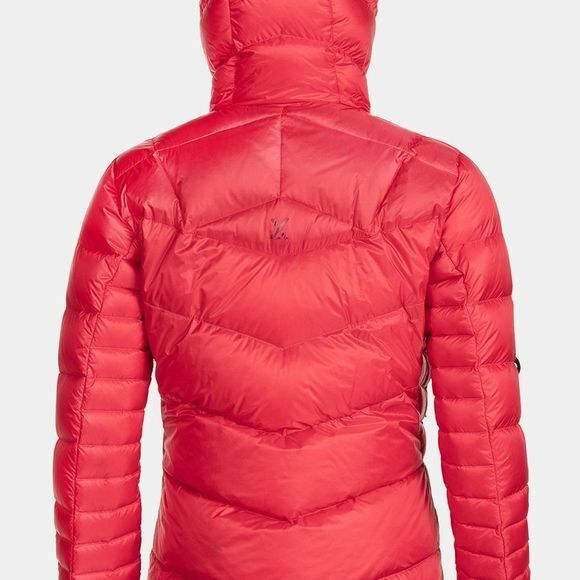 While carefully considered body mapping keeps the jacket in tune with your physiology, through delivering powerful warmth to your core, and reducing bulk in areas where it’s not needed. Plus, extra heat retention is achieved thanks to Reflect technology. The ultra-light, highly breathable silver mesh reflects your hard-earned body heat back to you, keeping you 20% warmer*. As for strength, durable Pertex Quantum fabric creates maximum strength with minimal weight. With valuable insight from some of the best mountaineers and climbers in the world, we pioneered a remarkable bit of extreme cold weather kit.